Please contact me to answer my questions about BNI. Difficulty finding an opening in an existing chapter? BNI Members have a better way to grow their businesses. BNI's (Business Network International's) Mission is to help members increase their business through a structured, positive and professional word-of-mouth business networking program which provides them the opportunity to develop long-term meaningful relationships with quality business professionals. The philosophy of BNI is "Givers Gain". 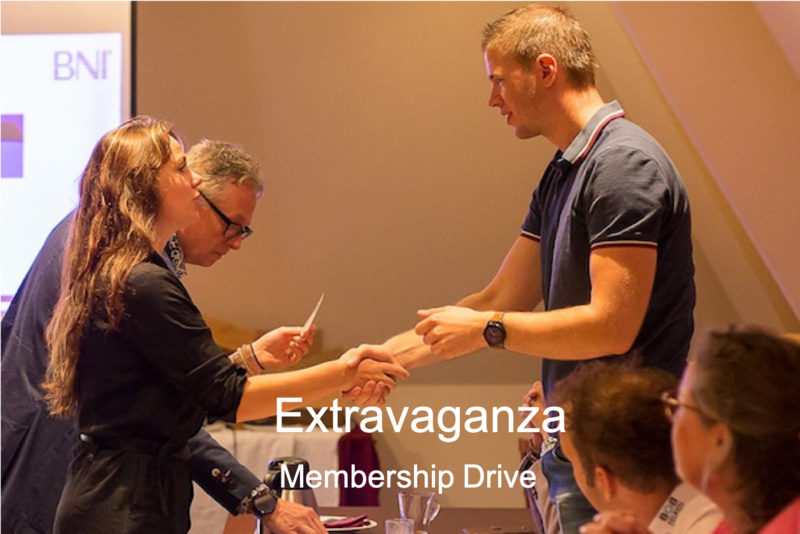 BNI offers members the opportunity to share ideas, contacts, networks and most importantly, business referrals. Being a member of BNI is like having sales people working for you every day who market your product or service. If referrals are an important part of your business, then BNI is the organization for you. And it works! In 2016, the 211,000 members of BNI worldwide passed over 8.8 million referrals which resulted in more than $11.2 billion in business. Member referrals have injected over $50 million of business into the Central and Northwestern New Jersey, Poconos and Northeastern Pennsylvania economies! First Time Visitors. The best way to find out about BNI is to visit a chapter. If you are a first time visitor, please call 877 264-0500, click here to send an email or click here to find out more about how to visit and join a chapter. If you are interested in starting a new chapter, you will also find the information on the process and who to contact. Founded in 1985, BNI® is a global, proven business networking organization. Our members are business professionals who help each other grow their businesses through their commitment to our principal core value, Givers Gain ®. Each week, in thousands of communities across the globe, members meet with other trusted business leaders to build and nurture lasting relationships and pass qualified business referrals. Membership in BNI® offers access to business training, peer learning and opportunities to network and do business with hundreds of thousands of BNI® members around the world. Interested in Finding a Chapter? The best way to find out more about how BNI works is to visit a local chapter meeting and see for yourself what it's like. Each chapter has a personality of its own, and finding where you fit best helps you to get connected.